James Franklin is No Closer to Answering Penn State’s No. 1 Question: Who is the No. 1 Quarterback? It’s been 1,555 days since Tommy Stevens first stepped foot onto Penn State’s campus as an early enrollee freshman. Stevens is still waiting to be named the starting quarterback. 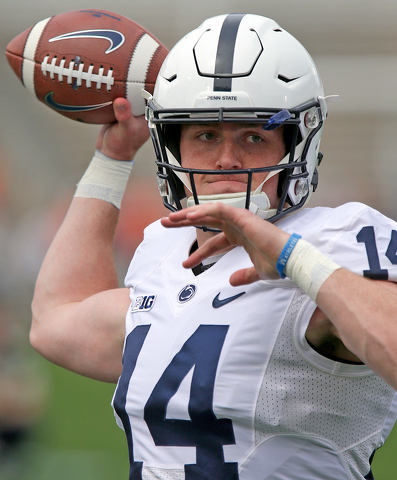 The Blue-White Game on Saturday could have been another chance for the veteran quarterback to put his best foot forward. But, alas, the fifth-year senior did not play. He dressed in full pads and uniform, participated in warm-up drills and did some medium-length throwing before the start of the second half. But in the end, TMS was a DNP at QB. That was not a surprise, since his reps in the spring were limited and he was on a pitch count as well. As he did most of the spring, redshirt sophomore quarterback Sean Clifford ran the Nittany Lions’ No. 1 offense on Saturday, completing 11 of 19 passes for 118 yards and an 8-yard scoring toss to running back Noah Cain, while running six times for 31 yards. Will Levis, the No. 3 quarterback behind Stevens and Clifford — or, is that Clifford and Stevens? — was 4 of 7 passing for 86 yards, with a 59-yard scoring strike to wide receiver Dan Chisena in the scrimmage, won 24-7 by Blue over White before an estimated 61,000 at Beaver Stadium. Afterwards, head coach James Franklin was non-committal about who the team’s starting quarterback will be heading into the 2019 season. Whoever he is, that starter will be the first one other Christian Hackenberg (38 starts) and Trace McSorley (40 starts) since 2013. G.T. 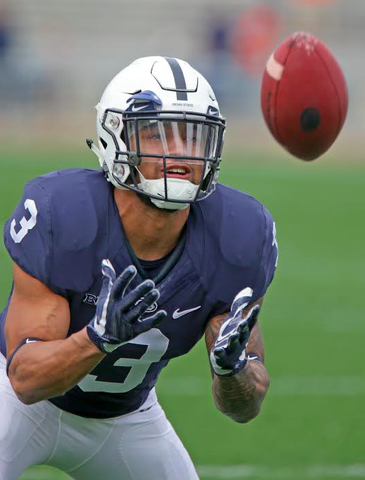 is returning safety Garrett Taylor, who started 12 games in 2018, ranked No. 8 in the Big Ten in interceptions and was the No. 3 tackler for Penn State last season, with 71 stops. Stevens has never started a game at Penn State. “Obviously," Franklin continued, "Tommy’s situation puts us in a tough spot because he had an injury that made it difficult. Obviously, we want to name the starter as soon as we possibly can. But, but, we’re not ready to do that right now. It’s going to be more of a true competition." Obviously, at this point that seems obvious. On Saturday, Penn State offensive coordinator Ricky Rahne, who is also the quarterback coach — a spot he also held in 2014-15 — wasn’t ready to give Stevens the starting job either. When would you like to name a starter, Rahne was asked after the game. “As soon as that guy grabs it, you know what I mean?” Rahne said. “You want a starting quarterback as soon as that guy goes out there and grabs it by the reins. We’ve got some guys who have worked really hard for it across the board. So: Could be a yes, could be a no. Not a ringing endorsement, at least if you’re Tommy Stevens. After five years, yeah...that’s obvious. It was a youth movement on Saturday afternoon inside a sunny Beaver Stadium as Penn State's newest faces showcased their skills and abilities in front of a crowd eager to see what the future might hold.